You basicaly need to start posting in the EU forums on that thread. most of the rest of us started doing that when it was obvious that they did not give a crap about the US team. you need to creat an account on the forum there if you dont have a game account already. Is the grid size on all maps the same or does it depend on the map ? I have researched & can't find the grid or map sizes. This information would help dramatically in planing tactics. Thanks. I was just wondering if the Developers are working on some new engine sounds for various tanks? Moderators and Developers please accept my apologies if this question has been asked before. I have searched the forums thoroughly. I made a graph about how the critical system might work. Can you confirm or correct this graph? There is no any 'module saving throw, AFAI remember. With the decreased ability of HE to do general damage, and with an EFFECTIVE increase in armor relative to AP, are there any plans to tighten up the tier spreads (especially for arty), make lower tiers more useful in higher tier battles, and if neither, why not? Yes, there are such plans. Since this data conflicts with the information we were last provided with by mediahead in his Visibility Mechanics in v0.6.4 thread (0.1 to 2.0 seconds) could you provide an update on the visibility mechanics in v0.7.0 please? edit: I put the same question to Overlord and he said to his knowledge there were no changes, so I assume your post was incorrect. Still going to leave the question here in case you feel it wasn't. Thanks. This checks depend a lot of the map player plating about. I've requested a total check from Q&A regarding the matter. I would like to see larger maps, are they coming in 2012? I heard the Big World engine is capable of having larger maps, but its hard to convert the old ones in the new system. Is that true? You would keep old players for way longer, biggest issue, the small maps have a very limiting effect on tactics. Thx still love the game, but waiting for larger maps. We are working on that, but new game modes have much higher priority. Thanks for the response about multi-turret systems (althought seeign hte french tree, it mostly affects the low tier tanks alone ~2 to 4). It's very noticeable that the tiger 2 and the jadgtiger(being same hull and all) have the same skirts as the E-series yet AFAIK they don't have it implemented as "skirt armor"(or at least i can't remember seeing any mention of it in the patch notes for 7.0, the tiger 1 new skirts where mentioned though), is this on purpose or it's an accidental ommision in 7.0 to be done on the future? In the IS3 skirt armor was modeled to the mudguard "deck" surrounding the entire tracks, since the IS-4 essentially has the same layout -but even bigger mudguards-, will it have skirt/spaced armor implemented for the front and back mudguards? IS-4 will receive some changes because of it's transfer to Tier 10. I originally asked this here, but think it belongs in this thread instead, my apologies if I am mistaken. Will players ever be allowed to transfer gold, credits and/or whole tanks between themselves? If yes, when might we see this feature? (please note that I do understand that a "Gift Shop" is coming soon, but that is not what I'm asking about here) Also, is the auctioning off of tanks still planned? We want to increase the security of players account first. Probably connect them to the mobile number. Hello Valter, Happy New Years. 1st off, you guys did a great job with 7.0. Love the graphics, horn when capping, new tank companies! My concern or advice is that no one is joining the Absolute company. It's empty most of the time. I was in one for 45 minutes 1 night and had to get off. 1 of the guys made a good point. They should make Absolute like the company was before 7.0. What I mean is that the points should be brought down to a more realistic level such as 90 so the wait is less and games could start quicker. Don't take my word for it, look for yourselves and you will see that Absolute rarely has any companies in it or barely enough to even get a game going. Other than this I think you guys did a hell of a job. 1 more thing, I would recommend seeing 5 company categories so that tier 7s can get into them. Tier 7s arent able to get into mediums and they are not wanted in champion because they want tier 8s. How about ex: Junior, Medium, Heavy, Champion, Absolute? I think this would be great. Just my 2 cents. Love the game, keep it up! Oh, P.S.S. M103 & T110 soon! Please, next time submit suggestions to another thread. We are currently discussing the possibility to re-introduce some previous mechanics for the TC. Thanks for the answer. Now for another question regarding that has been brought to my attention. Why does the T32 require 6 crew members when in real life, it had 5 and even its hit models only have 5 crew members? First, hit models are our Intellectual Property and something we don't want neither published nor being spread throughout the Internet. Because this may cause a lot of problems with so called 'hit-box skins' and some other features, which will force us to encode the entire client. Secondly, it was done to make a simpler the crew transaction from tank to tank. In future there are plans to remove it. And if that's the case, will it suffer any transmission breaks (like engine recieving damage)??? Nope, it won't accelerate more than his Tip Speed is. Can you give a definate answer to when the russian heavy tiers will be upgraded. I have found several streams in forums saying upgrade 7.2 or 7.3, what one is it..please. Also if you have the IS-7 do you get the Object 252 (IS-8). Can you explain for those who purchased the pre-order packs why their one of unique tanks are no longer going to be unique plz . They will still be unique, since they were removed from the gift shop. From what I understand, when this swap happens, the M103 will get all comparable modules to the T34 unlocked. I also understand that the M103 will be able to use the 105mm gun prominent in the US heavy line, as well as have two 120mm guns. So if the T34 already has a 90mm and 105mm gun unlocked, does that mean that the M103 will start stock with the 105 and will also have the first 120mm gun unlocked? There's been talk about this in the US heavy tank forum and none of us are exactly sure what will happen. In the sugggestions forum section I had requested WOT update the tankopedia to show where the hit boxes are. This would allow players to study each tanks and 'up their game' a bit. I have found, what with the random nature of accuracy and the heat of battle, it is very hard to discover all the hit boxes. Not to mention WOT just added a French line. Any chance this might happen? Thank you. Is there any change planned to the way camo is purchased? I and other players are leary of buying camo now and being locked into that specific scheme if something nicer looking comes down the road. Maybe instead of purchasing camo itself, make it so that you just buy "3 color camo" and then can choose any of the available options at will. There a lot of discussion about that, but no changes will be implemented in 7.2 for sure. In future - probably the system will change or probably not. When the T34/M103 switchout occurs, what will happen to "partially researched" T34? For instance, say I have the tracks researched on the T34, but not the turret. Those are both parts unique to that tank. Will I have those parts likewise researched on the M103? Or will I be back at the beginning? As per the what the Devs have said in the past, Game balance trumps Historical accuracy. So are there plans to give a Boost to something on the B1 to bring it on par with a LIGHT TANK??? For now there are no changes planned. But once we will have enough statistics (end of January), we will look closely on all vehicles again, since the French were added. Probably vehicles will receive some rebalance. Can you tell overlord to update his blog with something? If he's sick, tell him to take his vitamins. This was answered in YAWR. Please, take a closer look to it passing by the link! My question has to do with the latest patch 7.1. According to the patch notes the side armor of the T95 was supposed to be increased... this has not happened at all. Can you guys please shed some light on why this was not done and if it was done, indicate what the exact increase was from prior to current? It was slightly increased. If you found any issues with it, please, send a detailed report to our Customer Support. They will investigate the issue and report it as a bug, if necessary. Is the AMX 40 missing a gun upgrade? Both the garage picture and in-game score card show the tank with the default "duck" turret sporting a weapon that is comparable in length to the T-34's 57mm. Was this gun upgrade cut at the last moment and the picture never changed? At testing phase we had incorrect historical data about the gun. 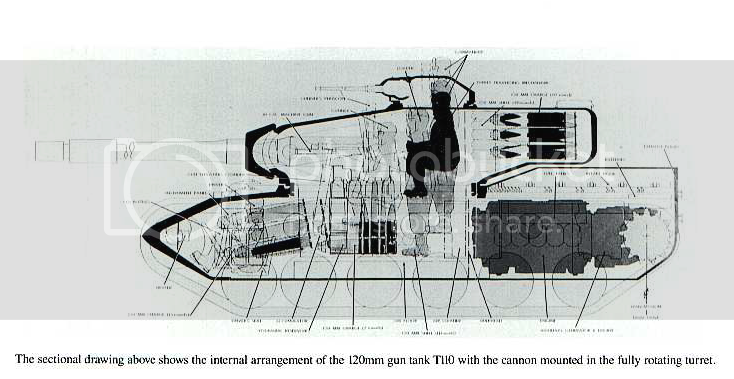 Once we received new information from our Paris colleagues, the gun on the tank was redesigned. Though the old picture remained. It will be fixed in upcoming updates. Last year, Overlord mentioned a planned Matchmaker Overhaul this year. Any news on that? We are currently working on it. Probably, we will announce some information soon. This is their payment for good guns. Can you tell us, when is the exact date when those tanks that were pulled out of the gift shop will be coming back? will there be more premium tanks available at the gift shop? There are no plans to introduce the 'pulled out' tanks, besides the Type 59 and the KV-5. Yes, the gift shop will be developed for sure and include more premium tanks in future. Is it possible for us NA server player to purchase or accept gift from a RU server? Nope, the gifts are server connected. The KongZhong.com said that there will be Type-62 in 7.1 wot,I want to know if it is true and only for Chinese game? In 7.2 and probably it will available for the Chinese server only, since there is still an issue with the amount of High Tier premium vehicles. Will the price of HE ammo be adjusted downwards in keeping with its downwards adjusted ability to do damage? Currently the HE ammo for the Russian 107mm costs more than the AP ammo and yet there is very little reason to use the HE, even less given tat it costs more. Can a relative timeframe be given for French TD and SPG? For example, before or after Russian tree changes, Q2 2012, etc.? Yes, you are correct. Q2 2012. Is there a change in the ammo count coming for Batchat? The current 30 rounds feel quite small for a tier 9. Upping the amount to 36 or maybe even 42 while using 100mm seems acceptable. If there will be an issue with it's statistics, it will receive a fix for sure. The main idea of his low ammo is a balance price for the auto-loading device. Q: What kind of camo do the french T5-7 lights have? Terrible/Bad/average/good/excellent? I know you can't put out specific numbers so an approximation for each of the three lights would be sufficient. T30 has 1 Too many crew now, Its sending 4 of its crewmen to the T110 keeping 2 and getting 3 100% crew as replacments? Russian tanks the one surpus crew is simply going to the baraks, the KV2 and other new tanks are getting spawned with a new 100% crew no need to move partial crews here right? I have two questions on the handy aiming reticle available if you press 0 while holding down Caps Lock. It's often refered to as a "server side aiming reticle". 1. I would like to know if that is done locally from calculations taking place on the client based on current ping, movement, environment, road hazards, etc., or is that more information coming back from the server to display on the client? 2. It has to be enabled at the start of each battle. Why isn't that the default aiming reticle? The 'server side aiming reticle' was not intended initially to be used by players and was added for testing needs. Though because of many requests we have not made it accessible for the Devs only, we do not plan to develop it any further. Back in old game versions it was possible to edit the flags located at each team's base by re-colouring the files, "mle037_Flagstaff_blue.dds" and "mle037_Flagstaff_red.dds". Since more recent updates, this no longer works. Is it still possible to create customized flags, and if so, where are the new files located and if they are no longer .dds files, how would one go about editing them? We will add some more comfortable functional for replacing some default graphics (for example, tank skins) client side on player-made ones. Probably, we will re-introduce the possibility to change flags in it as well. Another question...Will there be something like physics engine in the future?or it will only come in WOWP?Many Chinese players want to know this. Yes, you can find details in my previous answers. Why am i not a beta tester? It says i joined in march but i remember when the gold game in everyday about 250 gold a day and i had tanks and stuff. Recently i started playing again and all my stuff was gone like a new tank? I dont mind it but i remember i was playing this game in beta. Please, contact our Support Department regarding the issue. This was brought up again in the Type-59 announcement forum discussion ( http://forum.worldof...p?/topic/83629- ), see post #7, currently at +84. I would happily turn 1 or 2 of my tanks into permanent premium credit earners. I would assume a tier 8 would be between Lowe and Type-59 in pricing and that lower tiers would cost less. This would allow players to use the tanks they like to play to earn credits. You would have a wider range of tanks being used to earn credits, hopefully alleviating matchmaker issues and it can't be that hard to implement. Assuming you have correctly balanced credit earning, a flat 50% increase across all eligible tanks sounds fair. Has this been given any more consideration? 1 - please, post your suggestions to other thread. 2 - the feature is currently being discussed. What does damaging the fuel tank do? I read around that it increases the chance of catching on fire by 50% in the Archived Player Questions & Developer Answers thread, but someone pointed me to a dev answer on the Russian forum that contradicts this, so I'm rather confused. If there is no way to set up Russian, I suggest and request it in future updates! Unfortunately, there is no official Russian language pack for NA server client, but you will probably find a fix throughout the forums. Do Win/Loss Statistics have any influence on the matchmaker? 1. It seems to becoming more common for teammates to rub each other to the point of a duel during the game, which hurts their teammates. What happens to these jokers? 2. I was a real tanker, and it takes quite awhile to fix a track under ideal conditions, I can't imagine trying to do it combat, and yet it happens to be repaired quite quickly. 1. They receive a repair credit penalty. 2. We decided to make it like it is in the game currently, since in other case 'World of Tanks' would convert in 'World of Turrets' soon after the match begins. Is there a plan to modify CWs in a way where tier5 lights get to be useful? Will there ever be a Build your own tank mode? 1)The usability of this or that vehicle depends on clan's tactics only. 2)No, there are no such plans. At least for now. I have a question about experience. Where exp. goes after all crew skills are 100 %? When you revamp the match maker would you please bear in mind that currently there is no reason to keep a tier 7 tank? This greatly reduces the number of these tanks in circulation and as a result makes match making worse. There is no reason to keep a tier 6 tank either with the exception being for tier 6 company battles (and most people don't get involved with these judging by the ever present low number of companies. There is little reason to keep a tier 5 tank in the same regard because you tend to get mostly only tier 8 games where you just get turned into a flaming heap. I know when I got my Lowe I sold a few tier 8 tanks because it became my tier 8 vehicle. I have a few tier 8 tanks but I am only keeping them because they lead to tier 9 things. Even less people play the champion company than people play the medium company (about 1/3 as many I would guess). What's the point I'm trying to make here? People tend to only keep tanks that actually get fair matches with the match maker. The most obvious examples are tier 9 and 10 tanks because they literally can't be too outclassed. The same trend holds with tier 1-2 tanks. Can we please have a system where tanks can get a tank no more than two tiers above them? That would mean a PIV might see a tiger but it would never see a Lowe, 59, E75 or a Maus. I believe people mentioned that back in the beta if you had 3 skills fully trained you had a "black box" skill that was basically a place holder for skill 4 which of course never showed up. I'll be pissed if I don't get to start a 4th skill for my crew that is almost done with skill number three when that patch hits. There are plans to make MM tighter. I have a question. Why does Wargaming have such contempt for the NA server's population that we have no representative and have to use our own player base to answer our own questions? I have to go to the EU forums and even the RU forums to find out anything, much less have any contact with someone who has any influence on the game. I don't care what your personal life or time is like. SerB answers questions every day. Overlord answers questions every day. If your existing help can't do the job, find someone who can, and do it immediately. The lack of respect and concern you show for this server is unacceptable, especially considering we're the ones paying the most hiked up prices for gold across all three. A lot of us are upset about the new American line, for instance, and the only way to voice concerns about it is to apparently have Russian posters translate our concerns (and theirs, too, from what I've read) to the developers, themselves. I shouldn't have to make any number of passive aggressive posts on an internet forum for that to be a sign that something is very wrong. Because for me addressing player concerns has more priority than answering questions. For example, along with The_Chieftain we are currently addressing existing issues with M36 (Ford engine etc) and T110 (hull shape etc) vehicles, making YAWR's along with other CM's, taking part in MM changes discussions etc. I'm deeply sorry for leaving this thread without answers for a long period of time and promise to do my best and return to my day-by-day answers. 1). Are the rumors of a British-ish based tank tree founded? 2). Most importantly; will this tree be named the Commonwealth Tank tree as it must include the AC(Australian Cruiser)series ranging from Mk.1 to (paper)Mk.4My link and the heavily armoured Canadian GrizzlyMy link? 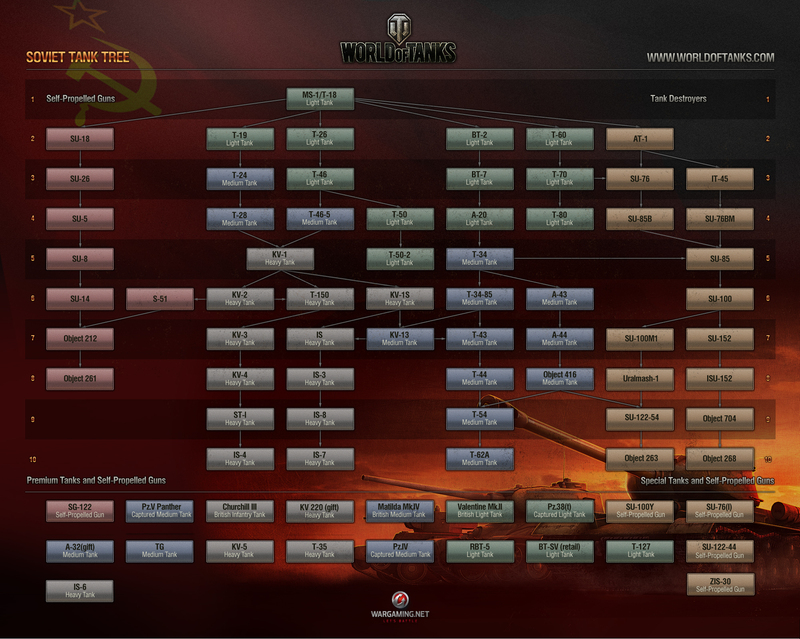 The idea of a Commonwealth tree has been raised many times in the suggestions threadMy link and I was wondering if Wargaming is considering it? 3). If a Commonwealth tree was implemented would it be possible to include a variety of nationalities/armies? The Royal Armoured Corps for England, ANZACS for Australia and New Zealand, The Royal Canadian Armored Cops and so on? These small touches would mean quite alot to a great deal of people. 2) There are some plans to add Australian tanks as premium ones. Unfortunately, I cannot give you details on the rest for now. I was surprised by the recent heavy nerfing of the IS-4. After a long grind I finally got my IS-4 (just after patch 7.1), and was very disappointed with its competetiveness. I was surprised to find that it feels like it may actually be worse than the IS-3 I "upgraded" from. Since the most recent patch, the IS-4 now has less armor value on the front than the sides. Is it really true now that (if I cant avoid being shot) I should try and take hits on the side and rather than the front? That seems to make no sense. I cant believe anyone would design a tank like that. Is that historically accurate? The IS4 feels a lot weaker going up against any other tier 9 tank, and I read the next patch will move it up to tier 10. Are you also planning to re-adjust its stats (upwards this time) to make it more competitive? The IS4 only received a bug fix in recent updates, that's all. The IS4 will be moved to Tier 10 in 7.3 only. Is there any plan to use weather to add more realistic settings. Many tank battles not only occurred with favorable weather as history has proven. Many battles occurred during a rain storm or snow storm and that would definitely add more danger to the game and balance some of the "long shots" from hidden opponents. Believe me I love being the TD hidden and taking long distant shots. While on the topic of weather is there any plans to develop early morning and evening or even night combat? Yes, the first variant will be added with new light effects and day-night changing on the maps. Though the weather effects themselves would probably be added a bit later. when will we have new achivements? The maps have different sizes. Yes, but it has low priority. If matchmaker is having problems dealing with excess tier 8 premiums, why not add some credit generating lower tier premiums (or alternately, boosting the existing credit generation on the non tier 8 premiums). It seems that lately WG has missed out on some Wargaming TV translation/subtitling. Would we (NA server) be able to view these in an English context (subtitle/voice) soon; and in the future will these releases come closer to the RU version? Today there was a patch (23 January 2012), what was the content of it? This is a cure for the symptom, but not the disease itself. The video content is something we are working on with all the NA team. Hopefully, we will start generating even more content than RU server does this February. About the WG TV - we will do our best to translate the current ones and release the u[coming videos simultaneously. This will be announced within some hours on the Portal. Just follow the news! 1. Why haven't the devs used this as the base for the T110E5, from Hunnicutt's "Patton". Is there some source that contradicts this? What is the more authoritative source? 2. Is the soon to be Chinese WZ-111 the same as the Type 122? They both use the same tank as a base (the IS-2/IS-3), but the WZ-111 seems to explicitly stated as a heavy tank, while the Type 122 was a medium tank. If different, is there plans to bring both into the game? Well, first I'm going to disagree and say that the Chaffee and VK2801 weren't really designed for scouting, they are more damaging harassment tanks that have a limited ability to scout. Whether by the Chaffee's better ability to passive scout and the VK28s ability to rush scout in mid game. Kind of like the Patton and T-54 in CW, TC, and very high level pubs. Anyway, that's just a pet peeve for me. What I want to ask is, what is this "In game novice training" in the 7.2 development notes? I have not heard about this before and I get the feeling that even after public test and the patch is implemented, it might be awhile before we understand that well. I am sorry if I just failed search 101, but I cannot find anything authoritative (i.e from actual WoT staffers) on how the painted camo schemes function (or don't) in 7.1. 1) do the painted camos affect when your tank gets 'lit up', or are they just visual and make it possibly harder for the opponents to clearly see you when targeting? What I want to ask is, what is this "In game novice training" in the 7.2 development notes? I have not heard about this before and I get the feeling that even after public test and the patch is implemented, it might be awhile before we understand that well. they have been kind of mentioning it on the RU forums. thats why it was in my spoiler.other than that I dont know myself. On the subject of "average damage" we've been told that the actual damage done, outside of ammo rack explosions, will be the average damage, +/- 25%. So, for example, a weapon with 400 average damage should do no more than 500, no less than 300, again, outside of ammo rack explosions and vehicles with less than the minimum amount of damage in hit points left. However, after being knocked out last night in battle, I watch two IS-4 tanks duke it out, by themselves. I saw one tank hit the other 4 times in a row, and no shot did more than 200 damage, two shots did less than 100 damage. These were all hits, with AP. I'm using the over target markers mod, so I have begun to pay attention to these things, as it appears to be a constant thing, not a rare thing, and often determines the outcome of not only individual fights, but entire battles. So, is it true, that all weapons are supposed to do their average damage, +/- 25%, on any penetrating AP shot, or not? Do you have a replay file? Yes, it's true, no exceptions. Did you know the IS4 can use FOUR different guns, and two of them are visually very similar? (BL-9 and S-70) , but with very differente damage outputs. so, ¿what tank replaced the IS4 on the 3 to 7 line? or i mixed the paths and IS10 goes in that path. is the ST-1 then the tier9 tank for the is4? No HE was being used. Even the BL-9 shouldn't be doing 60-90 damage at 75% of average, but it was. The entire 4 shot string he said was AP, not HE, and with the BL-9 at 390, per shot, the minimum should be 292.5.